Defending Trump, threatening shutdowns: What 5 years in Congress tell us about Ron DeSantis. An uncompromising voting record is on full display as DeSantis runs to the right of Republican frontrunner Adam Putnam in the GOP's primary for governor. Democrats see him as an extremist. Fox News hosts see him as a swamp-draining hero. There's no denying that the voting record of U.S. Rep. Ron DeSantis reveals an uncompromising advocate for smaller government who's worked to shrink the institution he serves while emboldening an executive branch led by President Donald Trump. After five years on Capitol Hill, he's a top member of a renegade Republican caucus that's become Trump's top defender from the Russian investigation. And in every budget standoff except one, DeSantis voted to shut down the government rather than agree to a major spending package. That record is on full display in Florida's GOP primary race for governor as the 39-year-old congressman from Palm Bay runs to the right of the Republican frontrunner, Commissioner of Agriculture Adam Putnam. It's already won some converts. "What I think he possesses is a very strict understanding of what you believe and why you believe it," said incoming Florida House Speaker Jose Oliva of Miami Lakes, who made a surprise endorsement of DeSantis last week. "If at times you have to be a bit intransigent, it only means because giving up that ground would mean that things would go in a direction that is against your ideology." DeSantis, a former Navy lawyer, refused his Congressional pension and introduced a bill shortly after he was elected in 2012 to take it away from all new members, saying it represents "an inappropriate use of taxpayer money" and is a "relic from a bygone era." He's introduced several longshot bills to eliminate a pay raise for non-military federal employees, impose a 5-year lobbying ban on former employees of Congress or the executive branch, and proposed constitutional amendments to create Congressional term limits and a prohibition on Congress for exempting itself from its own laws. 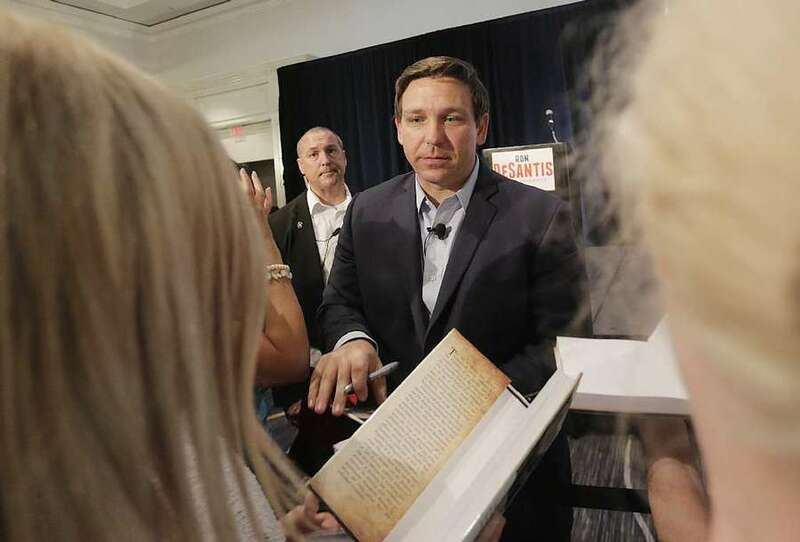 "Those who serve in Washington should be part of a service culture, not part of a ruling class," DeSantis said at the time. His background for championing smaller government in Washington shouldn't be interpreted as his approach, if elected, in overseeing Florida's state agencies, said Rep. Matt Gaetz, a close ally of DeSantis's and an alumnus of the Florida House. 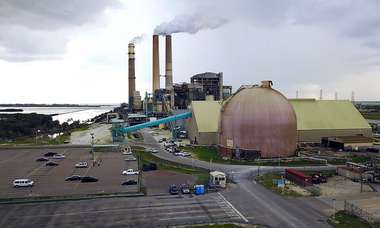 "In Florida, we have a balanced budget amendment so you're not faced with this choice of funding the government or shutting it down completely," he said. "In Florida, we have line-item veto where someone who understands how to push back against the special interests can balance the budget." Legislatively, DeSantis hasn't left much of a footprint. None of the bills he's introduced as the original sponsor have become law. He has been a cosponsor of 34 bills that crossed the finish line, a mixed bag involving meaty issues like national security, veterans or international affairs, but also including 11 bills to rename specific government offices after distinguished veterans and three to create new commemorative coins, such as for the anniversary of the moon landing. "You know what those bills are? Naming post offices, naming legislation after Merle Haggard," said Florida House Speaker Richard Corcoran, who has endorsed DeSantis's Republican opponent, Adam Putnam. "It's embarrassing." But the DeSantis campaign pointed to his high-profile role in the questioning of U.S. Deputy Attorney General Rod Rosenstein over his handling of the Russia investigation, as well as the long list of bills he's worked on even if many did not become law. RELATED COVERAGE: He might be Hannity's and Trump's guy. But who is Ron DeSantis? A hardliner on immigration and adamantly pro-Israel, DeSantis chairs the House's subcommittee on national security and was instrumental in the U.S. Embassy's recent move to Jerusalem. But what best defines DeSantis's ideology is his membership in the House Freedom Caucus, which steered the federal government to the brink of shutdown three years ago over President Barack Obama's executive orders on immigration. Comprised of about three dozen of the most far right members of the House, the Freedom Caucus got its start by launching a rebellion against establishment Republicans, including filing a motion to remove then-Speaker John Boehner. In 2015. Boehner resigned before that vote could be taken — citing his frustration with obstructionism. Former Congressman David Jolly, a centrist Republican who ran against DeSantis for U.S. Senate and served with him in the House, said DeSantis's breaks with the GOP are not productive. "When he votes against the party it was never to support a final compromise measure for the greater good," he said. "Ron DeSantis breaks to go more hardline." Jolly added that he and other moderates called DeSantis and the rest of the Freedom Caucus the "Vote No, Hope Yes Caucus,'" because "he could vote 'no' because he knows 70 or 80 of us would vote with the Democrats to vote to keep the troops funded." According to an analysis by FiveThirtyEight, DeSantis has voted with Trump 94 percent of the time. In that remaining 6 percent: a vote against the vast majority of his party in September on a $1.1 trillion package that included major Republican checkmarks, such as blocking the Obamacare individual mandate and doling out nearly $1.6 billion for Trump's border wall. That bill was mostly symbolic for the GOP leadership to address its priorities while the government was already funded. But again in March, DeSantis voted against an omnibus spending package — but this one would have shut down the government if it failed. In a statement at the time, he said the bill "was drafted by a handful of members and staffers behind closed doors." Trump ended up signing the measure but called it "ridiculous" because it did not address young undocumented migrants known as "dreamers" and did not fund the border wall. DeSantis also broke with the rest of the Florida delegation in 2016 to vote against a bill to provide American resources fighting hunger abroad. 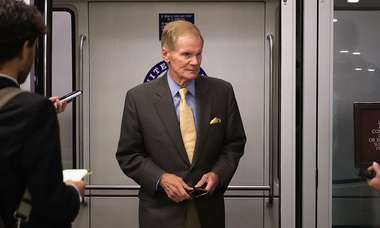 Elizabeth Fusick, spokeswoman for DeSantis in his congressional office, said he supported the bill when it was originally only $1 billion but when it came back from the Senate with $7 billion, it became a "prime example of the out-of-control spending in Washington." However, DeSantis strayed from his caucus in February to vote for a budget deal that raised spending caps but included billions for Florida's hurricane recovery. The deal came shortly after he announced his bid for governor. In a statement, he said the vote was necessary to meet "the urgent needs of our military and disaster-affected communities" despite the "fiscal shortcomings." Jolly takes a more cynical view. "He did so clearly because he's a statewide candidate in Florida and wants to show some level of responsibility," he said. In 2015, the Republican Study Committee, a precursor to the Freedom Caucus, released a suggested budget that would have raised the age for Social Security to 70 and Medicare to 67 in order to shrink the national debt. "Those votes show he has true disconnect from everyday people in the state of Florida," said Democratic state Rep. Evan Jenne of Dania Beach. "I invite Ron DeSantis to come down to South Florida … I'll take you to nursing homes where those decisions give people infinitely worse caliber of quality of life." Even among his critics, DeSantis has inspired some level of respect for his general steadfastness. Jolly said he appreciates DeSantis's intellect. "He would make fully capable governor," he said. "I'm sure he would be one with strict ideology."